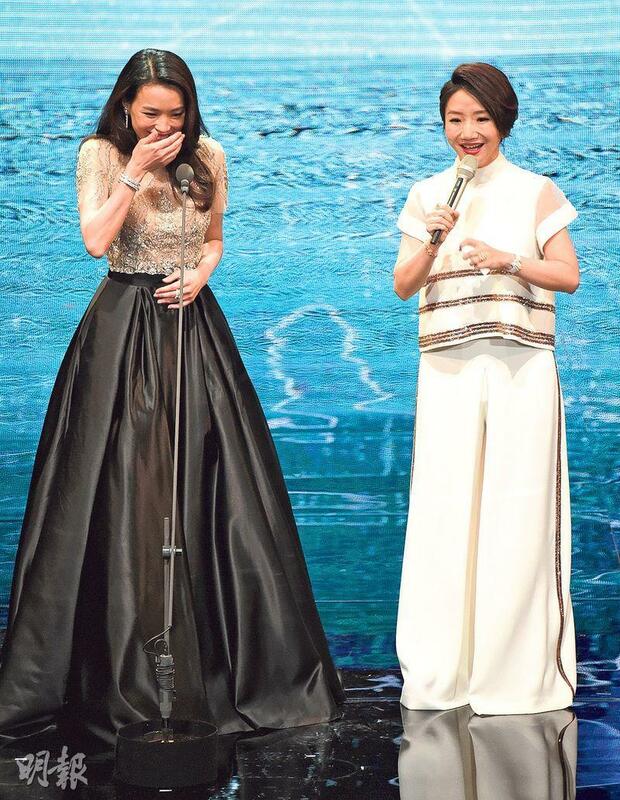 The audience is upset that Matilda Tao hints at Shu Qi's pregnancy. She says that they communicated before the show. 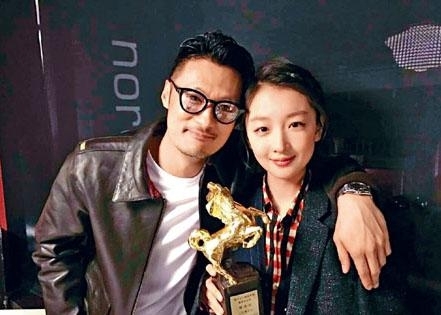 Shawn Yue Man Lok and the fresh out of the oven Golden Horse Best Actress Zhou Dongyu two nights ago celebrated at the same spot. They were not afraid of gossip again. 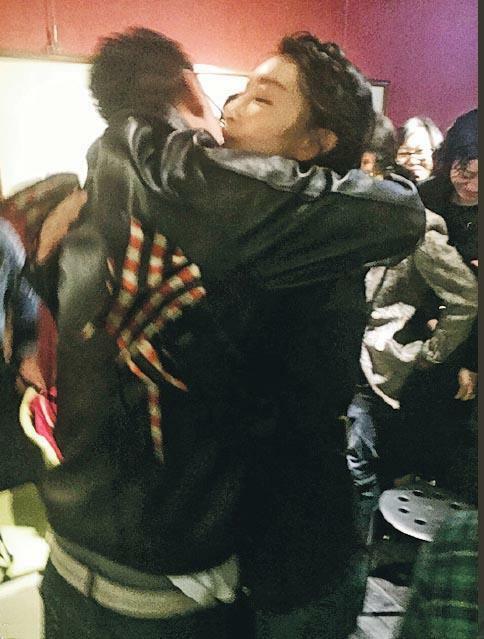 When Lok Jai saw Zhou Dongyu he immediately gave her a big hug. The intimate photo landed on the Weibo hot search chart. The 54 year old new Best Actor Fan Wei at the farewell party admitted that when he heard the presenter read his name, his first feeling was "my legs were shaking" as he struggled hard to get on stage. Fan Bingbing did not win Best Actress but boyfriend Li Chen said that his girlfriend was the Best Actress of his heart. Zhou Dongyu and Ma Sichun two nights ago both won Best Actress with SOUL MATE. They celebrated after the event and the Golden Horse award nominated MAD WORLD (YUT LIM MO MNG) was also celebrating at the same location. When Yue Man Lok saw Zhou Dongyu immediately gave her a huge hug. 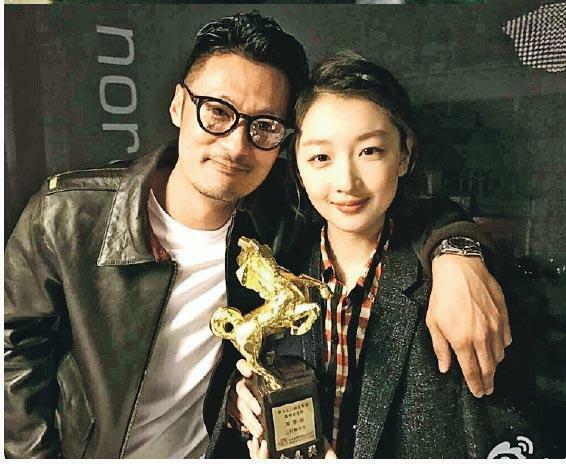 Yue Man Lok yesterday morning posted a photo with Zhou Dongyu and her Golden Horse Award. 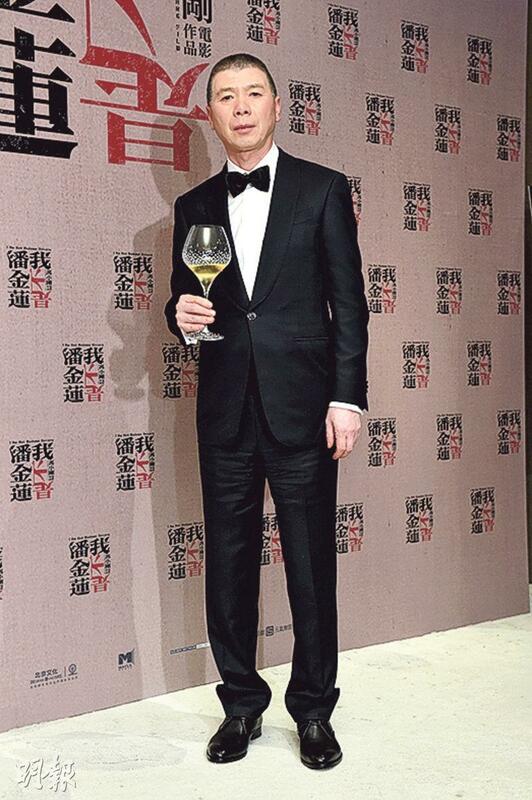 After the award ceremony, the new Best Actor Fan Wei attended the event farewell party and happily posed with his award. Fan Wei admitted that when he heard the presenter read his name, his first feeling was "my legs were shaking a little". He struggled to get on the stage. "I thought at my age I could probably tough it out." Originally he wanted to say something humorous during his speech but he just stood there and could not say anything. He only wanted to say thank you. Fan Wei after his victory immediately called his wife with the good news. The Taiwan audience was not familiar with him and thought his victory was a surprise. He asked, "Just because we aren't familiar it's a surprise?" He took the chance to introduce himself to the Taiwan audience. Fan Bingbing posted early in the morning online, "The director's victory made me very happy inside! Victories and defeats are common to soldiers, we will keep trying!" Boyfriend Li Chen posted, "No matter when and where you are, you are always the Best Actress of my heart." 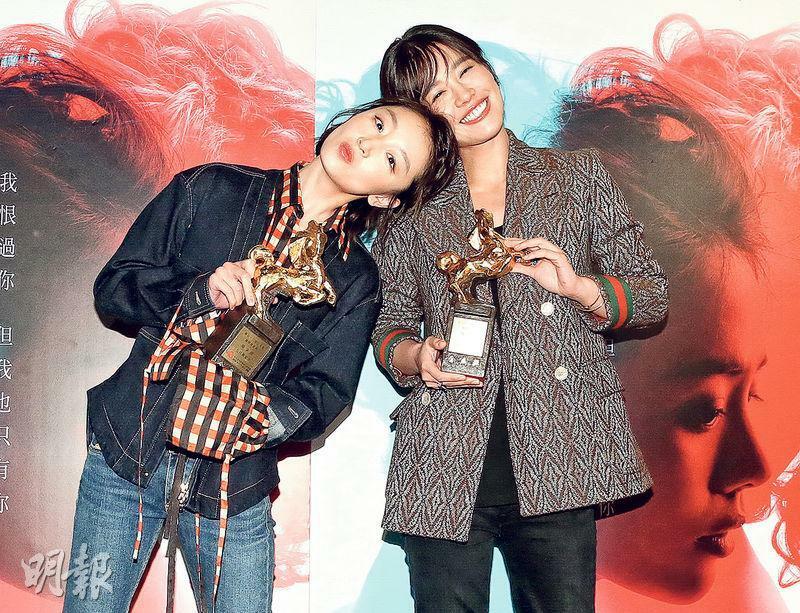 Hong Kong film TRIVISA (SHU DAI JIU FUNG) won two Golden Horse Awards in Best Film Editing and Best Original Screenplay. The winners were all surprised and felt that the victories were incredible. 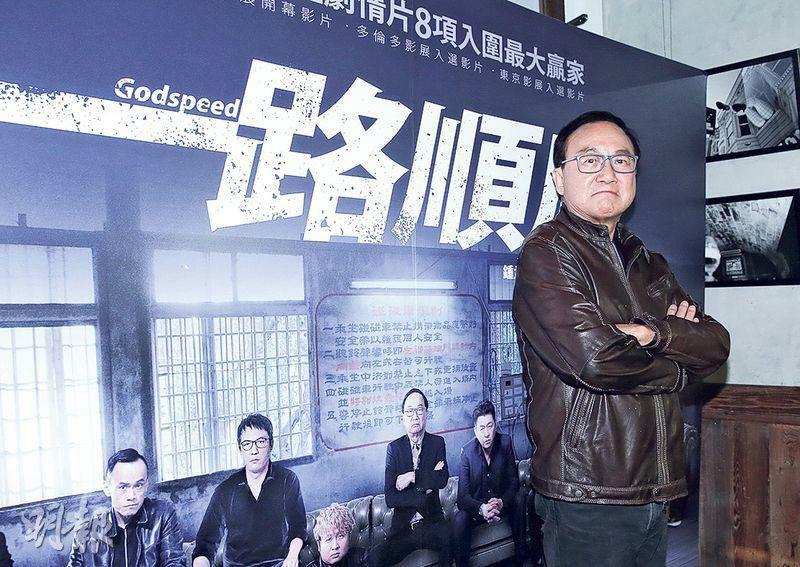 Johnnie To Kei Fung who did not feel well and left after the red carpet finally was happy to see the new blood's victories and attended the film company celebration. He showed his support to the younger generation and his kind fatherly side.